If you have picky eaters in the house (kids maybe?) and you have a hard time feeding picky eater super nutritious food, I assure you that sprouting is the best way to go. It’s fun, budget friendly and super easy to make. Best of all you only need some seeds, a bowl or a container and water to get sprouting in your kitchen. Get the kids involved in sprouting and they will absolutely love it. To see how food grows and how you can turn a seed into a living organism is crazy fun to watch. “Sprouting” is a method where a seed cracks open, and stalk comes out of it. Simply put sprouts are germinated seeds of grains, lentils or beans. These seeds are now power packed with nutrition, rejuvenating and provides a crunch in salad bowls. I am sharing the benefits of the sprouting seeds, the process of sprouting and what seeds to sprout. Living Foods: Sprouts are living foods that are fresh and natural. Choose organic or wild crafted seeds for sprouting. Alkalizing: Sprouts supports out immune system and assists in purifying the body due to its alkalizing effect. Nutritional Value: Eating even half a cup of sprouts will increase the nutritional value of your daily diet. They supply us with vitamins, minerals, antioxidants, protein and chlorophyll. Research indicates that sprouted seeds have extremely higher content of nutrition than raw seeds. For example, when sprouted some seeds provide us with significant amount of vitamin A, B, C and E, calcium, phosphorus, potassium, magnesium, iron, zinc etc. Protein: Sprouts are also rich in protein making is great for vegetarians and also good for people who are trying to lose weight. Enzymes: Any living foods, fresh fruits and vegetables contains rich amount of enzymes and enzymes support our digestion, reduces inflammation and helps with joint health too. Enzyme inhibitor and phytic acid: One of the first thing you learn when you come to my Ayurvedic cooking class is the importance of soaking and sprouting grains, beans, lentils, nut and seeds. In order to sprout a seed you need to add water and the water breaks down the enzyme inhibitor in the seed which makes it easier to digest. Raw seeds are sleeping, not alive and the only way to wake them up is to soak them. Sprouting inactivates phytic acids from the seeds which make it better digestible. Fiber: We all need an extra hand in getting more fiber in our body. Sprouting is a great way to get fiber into your diet. Fiber binds the toxins in your body to get rid of them and it also helps push bowels from the large intestine. Essential fatty acids: Eating sunflower seeds and pumpkin seeds will also supply you with essential fatty acids. When you select your seeds to sprout, make sure to pick through and discard any discoloured, broken, dark and mouldy seeds. 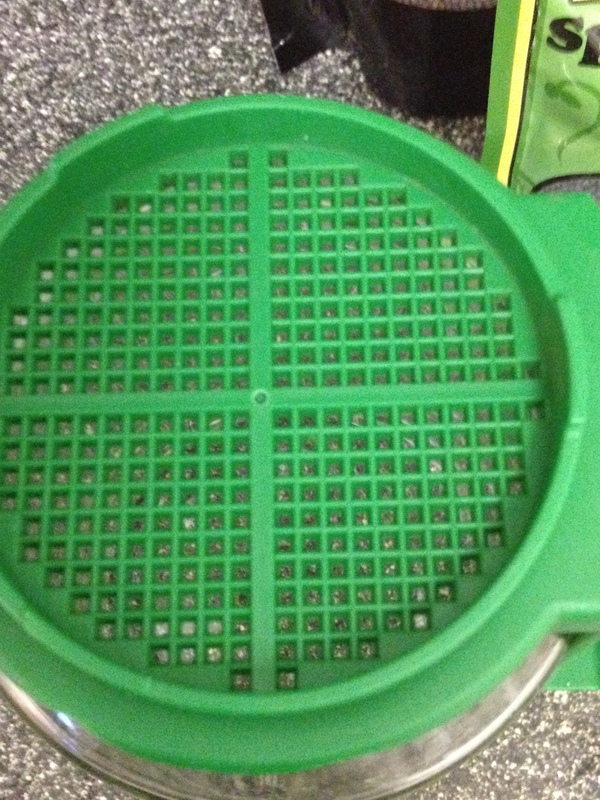 Using a sieve (especially if seeds are small) wash the seeds thoroughly. In a regular glass jar or a sprouting jar soak them in filtered or spring water. 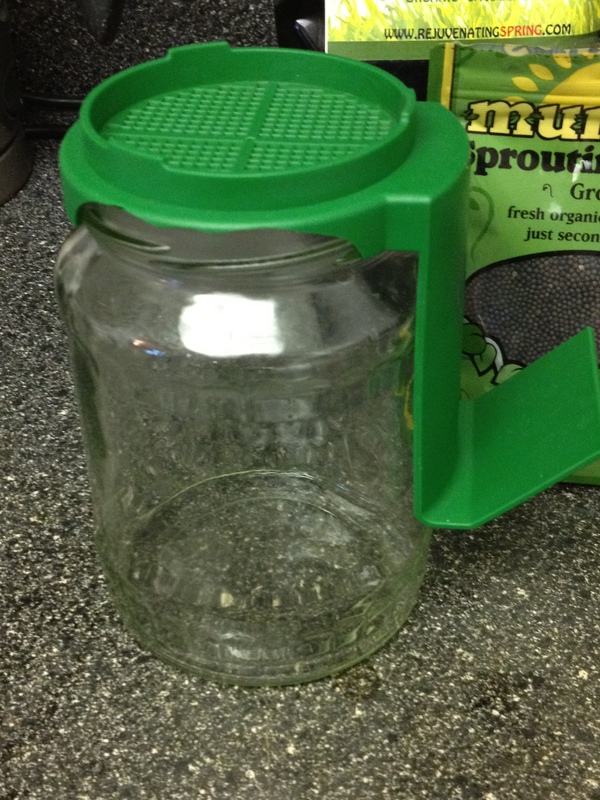 Screw the sprout jar lid on the jar and keep the jar away from light. Remember to check the soaking chart (or you can google it) because depending on the size and hardness of the seed, soaking time will vary between 4-12 hours. After soaking discard the water and rinse the seeds well. Keep the seeds moist (damp) until they sprout. Rinse the seeds couple of times a day. Some seeds start to sprout in 3-4 hours and other may take up to 2 days. Seeds need to be kept moist and aired but not soaked/wet, otherwise there is a chance of mould growing in the seeds. Here are few of my favourites. For best sprouting results start with whole mung beans (green), chickpeas, and sunflower seeds. Pulses (legumes): red lentils, whole lentils, pea, chickpeas, mung beans. Cereals (grains): oat, wheat, corn (maize), rice, barley, rye, kamut, quinoa, amaranth and buckwheat. Brassica family: broccoli, cabbage, mustard, watercress, radish, arugula (rocket), turnip etc. Just like any other food, sprouts too have side effects if eaten in excess. They can cause flatulence if eaten in excess. Ayurveda recommends sprouts mostly for Pitta and Kapha dosha. Excess gas can cause bloating which may not be desirable if you are a Vata dosha person (air and space humor). Some raw sprouts may also have hemagglutinins, which is known to inhibit the absorption of proteins and fats. The best seed to sprout are mung beans. Mung beans are known to support weight loss, hormonal balance, increase fertility and reduce PMS as well as menopause symptoms. 1. If you own a grain mill, you can make homemade sprouted flour. 2. You can make bread with sprouted grain flour. 3. Enjoy sprouts with your salads and soups. 4. Stir fry sprouts with garam masala and other microgreens. 5. Add sprouts in your homemade sandwiches and wraps. 7. Eat sprouts on their own as a breakfast dish.